You should read through all the Terms carefully. The Terms constitute a legally binding agreement between you and Housli. You are not authorized to use this Site unless you are at least 18 and able to enter into legally binding contracts. 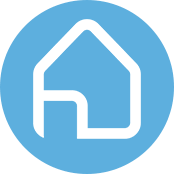 Housli is an online platform that facilitates renters and hosts connecting to book an accommodation, and receive a booking, respectively, directly with each other. (Referred to herein as “Services”). Housli does not own, operate, provide, sell, resell, furnish, provide, rent, re-rent, manage and/or control properties. Unless otherwise specified, Housli's responsibilities are limited to: Providing the Site and Services. HOUSLI IS NOT RESPONSIBLE FOR AND DISCLAIMS ANY AND ALL LIABILITY RELATED TO ANY AND ALL LISTINGS. HOUSLI IS NOT PARTY TO ANY AND ALL AGREEMENTS MADE BETWEEN MEMBERS AND THEREFORE IS NOT RESPONSIBLE FOR AND DISCLAIMS ANY AND ALL LIABILITY RELATED TO ANY AND ALL LEASE AGREEMENTS. ACCORDINGLY, ANY AND ALL LEASE AGREEMENTS WILL BE MADE OR ACCEPTED OR SIGNED AT THE MEMBER'S OWN RISK. HOUSLI IS NOT A REAL ESTATE BROKER, AGENT OR INSURER. HOUSLI HAS NO CONTROL OVER AGREEMENTS MADE BETWEEN MEMBERS, NOR THE EXECUTION OF SUCH AGREEMENTS OR THE ACTIONS OF THE MEMBERS AND DISCLAIMS ANY AND ALL LIABILITY IN THIS REGARD. We are not a party to any agreement or other transaction between users of the site. We are not party to any rental agreement or room for rent agreement that users sign on this Site, or directly with each other, elsewhere. The rental agreement or room for rent agreement is solely between host and respective renters. We are not responsible for the accuracy or legitimacy, of any property found on this Site, nor are we responsible for the accuracy or legitimacy of any lease signed on this Site. Any information provided to you by any Member of this Site, is the sole responsibility of you, the Member to verify. We are not responsible for, nor are we party to any agreement made between members of this Site. We specifically disclaim any and all liability arising from the alleged affiliations between Housli and the property listings. Any part of an actual or potential transaction between a potential renter and host, including the quality, condition, safety, legality of the properties and the accuracy, content, or user review of the listings, the ability of members to rent a property, or the ability of potential renters to contract for properties are solely the responsibility of each user. You acknowledge and agree that you may be required to enter into one or more separate agreements, waivers or terms and conditions prior renting a property. All property listings on the Site are the sole responsibility of each respective member. We disclaim any and all liability arising from the alleged accuracy or legitimacy of the listings, reviews, or any alleged breaches of contract on a user's part. All property listings on the Site are the solely represented by the Member and we specifically disclaim any and all liability arising from the alleged affiliations between Housli and the property listings. Users are solely responsible for keeping their personal and property information up-to-date on the Site, including, but not limited to any and all representations about any property, its amenities, location, price, and its availability for a specific date or range of dates. We do not represent or warrant that any of the copy, content, property reviews, property location, suitability, pricing or availability information published on the Site is accurate or up-to-date even in the case where prospective renters have searched for specific special offers, dates, or types of properties. We may from time to time provide or facilitate services to Members to create or improve the quality of their property listings. All rental applications on the Site are the sole responsibility of each respective member. We disclaim any and all liability arising from the alleged accuracy or legitimacy of the information contained within a member’s rental application. This includes, but is not limited to, all profile information, names, phone numbers, email addresses, occupational histories, income histories, tax returns, pay stubs, references, bank statements, eviction histories, credit checks, ages, previous addresses, identity verification, rent histories, number of renters, number of occupants, move-in dates, rent shares, or renter relations. It is the sole responsibility of the host to verify all information presented by the renters. We specifically disclaim any and all liability arising from the alleged inaccurate or illegitimate information between host and renter. We make no guarantee of the identity and legitimacy of renters, or hosts, using this platform. This includes renters who have uploaded their state-issued ID, or Passport and have been verified through our third-party ID verification system. ID Verification is not guaranteed to be 100% accurate. Your use of any lease template is entirely at your own risk, for which we shall not be liable. We do not provide any warranty or guarantee as to the accuracy, performance, completeness, legality or suitability of the templates offered on this Site for any particular purpose. We expressly exclude liability for any such inaccuracies or errors to the fullest extent permitted by law. In the United States, Housli warrants that electronic signing on this Site are fully compliant with the ESIGN Act of 2000. In addition, we comply with Australia’s Electronic Transactions Act, Canada’s Uniform Electronic Commerce Act (UECA), and the Electronic Communications Act 2000 (c. 7) in the United Kingdom. Users who sign a contract on this Site agree that they consent to and intend to be bound by their electronic signature on this Site. Hosts who use this Site must agree to abide by the relevant fair housing and antidiscrimination laws in your country or state. The host is solely responsible for accepting or declining rental applications and choosing renters. We disclaim any and all liability arising from the alleged violations of fair housing or antidiscrimination laws arising between Users of this Site. We reserve the right to withhold payment for suspicion of fraudulent activity, at our sole discretion. While we take as much action as possible to prevent fraudulent activity, we assume no liability or obligation to take any such measures or actions. We disclaim any and all liability arising from alleged fraud committed by members on this site. You are solely responsible for the contracts you enter and verifying the validity of such agreements. Additionally, when we warn users about any such activity, we do not warrant that such these warning are accurate or reach any or all users in a timely enough manner to prevent such fraud. You agree to allow Housli, Inc. to accept and disburse payments from renter to host, or host to renter, respectively. Each User agrees that payments made through this Site shall be considered the same as a payments made directly between Users. Host and Renters agrees that Housli may refund or cancel payments at our own descretion. Furthermore, Hosts agree to allow Housli to hold the first payment made by the renters in escrow, until receiving confirmation of successful move-in of the renters. Payments are subject to and conditional upon successful receipt of the associated payments from the associated Users. We do not guarantee payments to Users for amounts that have not been successfully received by us from the associated User sending such payment. We assume no liability for any acts or omissions of the Users. The time it takes for the Users to receive payments depends on the payment methods chosen by the hosts and renters. Some payment methods carry a transaction fee that will be disclosed on the relevant pages on this Site. If as a host, a renter cancels a booking in accordance with an applicable cancellation policy and Housli issues a refund to the renter in accordance with such applicable cancellation policies, you agree that in the event you have already been paid by Housli, we shall be entitled to recover the amount of any such refund from you, including by subtracting such refund amount out from any future payments due to you. In addition, in the case of rooms for rent (shared or private), you authorize us to charge your payment method on file, or otherwise collect the security deposit on your rental if there are damages, after the move-out date your trip. In the case of entire apartments or houses, and homes for rent, the security deposit is given upfront to the host. Housli, Inc. is not responsible for the return of these funds and will not mediate any dispute between host and renter over said funds. You authorize us to use your provided bank account information and disclose it to our payment gateway providers for the purpose of processing the payments you authorize on the Service. You authorize our third party payment providers and financial partners to store your bank account information in their secure databases. Payment gateway providers may aggregate your information for other purposes. We may disclose your personal information when necessary to comply with the law. We use Braintree to execute online debit card and credit card transactions. By using this Site, you agree to be bound by the Braintree Terms and Conditions, available here. Braintree Terms and Conditions may be updated at any time without notice. YOU AGREE AND ACKNOWLEDGE THAT, THE ENTIRE RISK ARISING OUT OF YOUR ACCESS TO AND USE OF THE SITE, APPLICATION, SERVICES, CONTENT AND USER GENERATED CONTENT, LISTING OF ANY PROPERTY, AND ANY CONTACT, LEASES, OR AGREEMENTS YOU MAKE OR SIGN WITH OTHER USERS OF HOUSLI, WHETHER ONLINE OR IN PERSON SOLELY REMAINS WITH YOU. NEITHER HOUSLI NOR ANY OTHER THIRD-PARTY ASSOCIATED WITH THIS SITE WILL BE LIABLE FOR ANY INCIDENTAL, EXEMPLARY OR CONSEQUENTIAL DAMAGES, INCLUDING LOST PROFITS, LOSS OF DATA, SERVICE INTERRUPTION, COMPUTER DAMAGE OR SYSTEM FAILURE OR THE COST OF SUBSTITUTE PRODUCTS OR SERVICES, OR FOR ANY DAMAGES FOR PERSONAL OR BODILY INJURY OR EMOTIONAL DISTRESS ARISING OUT OF OR IN CONNECTION WITH THIS SITE, FROM THE USE OF OR INABILITY TO USE THE SITE, APPLICATION, SERVICES OR CONTENT OR USER GENERATE CONTENT, FROM ANY COMMUNICATIONS, INTERACTIONS OR MEETINGS WITH OTHER USERS OF THE SITE OR OTHER PERSONS WITH WHOM YOU COMMUNICATE OR INTERACT AS A RESULT OF YOUR USE OF THE SITE, OR AGREEMENTS MADE OR SIGNED WITH USER OF THIS SITE, OR OTHER PERSONS WITH WHOM YOU MAY INTERACT AS A RESULT OF YOUR USE OF THIS SITE, WHETHER BASED ON WARRANTY, CONTRACT, TORT, NEGLIGENCE, PRODUCT LIABILITY OR ANY OTHER LEGAL THEORY, AND WHETHER OR NOT HOUSLI HAS BEEN INFORMED OF THE POSSIBILITY OF SUCH DAMAGE, EVEN IF A PRODUCT OR SERVICE OFFERED BY THIS SITE HAS FAILED OF ITS ESSENTIAL PURPOSE.